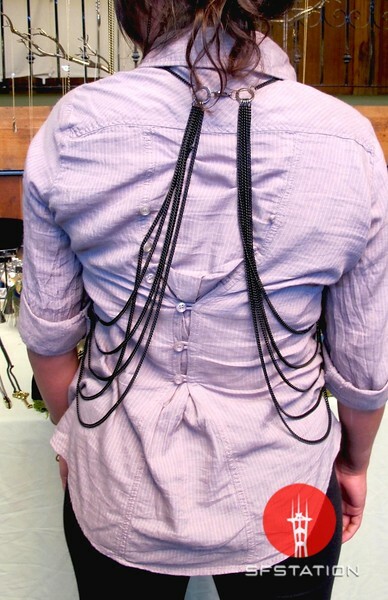 In This Scene: A back view of Elisa Gonsalves' chain harness. These remind me of angel wings. The gathered button detail on her shirt is also something I've been seeing a lot of lately--perhaps a new summer trend.